This post recommends the best gaming PC you can build for under $800. If you’re looking to buy a pre-made one to rock with this 2019, we recommend the CYBERPOWERPC Gamer Xtreme VR GXiVR8060A5. It’s powered by a powerful processor - Ryzen 5 2600 and AMD RX 580 that can handle AAA games at 1080p with ease. PC gaming is one of those things that you can buy into cheap, but which you can’t reap the benefits for fully until you get a better rig. Our best $800 gaming PC build strikes the higher end of the “sweet spot” between price and performance. This build is way past being a console killer, while still being sub-$1000, which is starting to get into premium builds. But if you want to browse through other stuff, then head over to our Cyber Monday PC deals article instead. Top-notch Performance. This machine performs well above current consoles, even on the level of the PS4 Pro and Xbox One X. VR and 1440p should both be achievable with this PC build. Great aesthetics. For $800 it’s not enough to just perform well, the PC itself should also look nice. That’s why we choose a case that allows all the pretty internal parts to be shown off. Upgradeability. While $800 will last a long time with the right components, this machine is still made to be very upgradeable. You should get great performance out of the system as-is, but the modern CPU architecture means you shouldn’t ever be hurting for upgrades. Chances are, you can probably go through a GPU upgrade or two without ever needing to up your CPU at all, thanks to the potent i5 we’ve put in this build. How do we do this? Well, a lot of research for starters. We check what other professionals in the industry have to say, such as Linus Tech Tips, JayzTwoCents, and Tech Deals, about upcoming products and components. And obviously benchmarks, like the ones found on Tom’s Hardware. Since prices change somewhat often, expect to see changes to our builds every few months or so. The Intel Core i5 in this build will provide stellar gaming performance and shouldn’t bottleneck any potential GPU upgrades. 1080p killer, 1440p/VR powerhouse. That’s really all there is to say here. With a full 8GB of RAM, multitasking and gaming shouldn’t be any problem whatsoever for this powerful PC build. An SSD with great performance at a stunning value. 2TB of reliable storage from Hitachi. A strong semi-modular power supply from Corsair. An entry-level motherboard for Intel’s 9000 CPU series. The Phanteks P400S is an excellent midrange case with plenty of room for expansion and great out-of-the-box cooling. Onto everything that’s going to be stuffed inside to make this beast of a system. The i5-9400F provides stellar gaming and all-around performance. With this CPU, you won’t need to worry about bottlenecking any graphics card you might slap in here for years to come. You’ll also be able to get much higher framerates in CPU-dependent games, and thanks to all the cores multi-threaded workloads (like rendering and streaming) shouldn’t be a problem, either. Unlike some older i5 processors, the i5-8400 actually supports hyperthreading! This essentially adds another virtual core per physical core, which makes this i5 good at streaming and rendering in a way that previously only i7 processors could achieve. The RX 580 8GB is potent, even beating out the GTX 1060 3GB and trading blows with the GTX 1060 6GB. This makes it perfect for VR gaming and a strong contender for 1440p gaming. Since we have the 8GB version in this build, the RX 580 is by far the best value GPU in this price range by a considerable margin, and for that reason it’s what we selected for this $800 PC build. 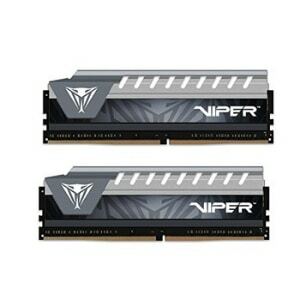 This 8GB RAM kit comes at a higher clock speed than your typical DDR4 RAM, and should provide all the RAM you need for most gaming and multitasking scenarios. The marginal speed boost won’t do too much to add to your gaming experience, but the difference is there and worth the money spent. While this SSD is certainly more expensive than our previous pick for this build, it’s a far superior value pick. 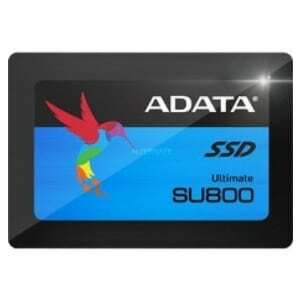 The ADATA Ultimate SU800 SSD offers better price-per-gigabyte than just about every other SSD we can find on the market, and you’ll be able to use that storage to its fullest potential for your operating system, programs, and favorite games. For your media and non-favorite games, put it on the HDD we listed below. As long as you’re buying from a trusted brand like Hitachi and getting good price-per-gigabyte, you don’t need to think too much about the hard drive you’re buying. 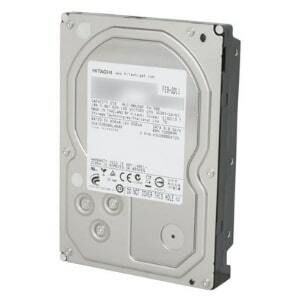 Fortunately, the Hitachi Ultrastar 2TB HDD is far from an afterthought- boasting some of the best value for HDDs in this price range and manufactured by one of the top hard drive providers, your content will be in good hands here. Use the 2TB of included storage to store your single-player games, movies, media, and everything you aren’t playing on a super-regular basis. You’ll want to save your primary eSports titles for your SSD, where you’ll be able to take the most advantage fo your speed. Due to rising prices, we weren’t able to fit a modular PSU in our cheaper builds despite having been able to do so last year. This is a shame, because a modular PSU is one of the best improvements that you can make for your building experience, but here in this price range, we’re finally able to amend that. 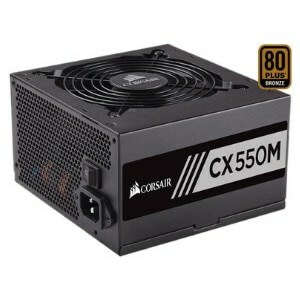 Aside from the whole “modular” deal, this PSU also comes from Corsair. While many may focus on Corsair for their stellar keyboards, their PSUs are also known to be among the best in the industry, so we’re happy to recommend them here. To be honest, this is an entry-level motherboard. That being said, this shouldn’t impact your gaming experience in any reasonable way… in fact, it supports overclocking even though the CPU we’re pairing this with can’t be overclocked. That means you won’t have to spend more if you wish to get an overclocking CPU in the future. But if you’re serious about it, we recommend taking a look at one of our higher-end builds. While this may be an entry-level motherboard, it’s still manufactured by MSI, one of the most trusted manufacturers in the industry. For that reason, we’re still confident recommending this motherboard in our $800 PC build. The Phanteks P400S helps elevate this $800 PC build. The most eye-catching parts of this case are its tempered glass construction and RGB lighting, which can be customized to any color you want. (There are also many color options for the case itself.) Aside from the tempered glass panel, the rest of the panels are notably well-equipped for muffling the sounds your PC makes, creating a much quieter build overall. We’d be remiss to forget the included fans. Unlike some other cases, this case ships with an intake and exhaust fan right out of the box. This saves you a little bit of extra money and ensures that you have a basic airflow solution right away- if you want to enhance it, you can slap in another fan or two at your leisure. In terms of cooling, expansion and general quality, you’re going to be hard-pressed to find a competitive build in this price range. The RGB lighting is nice, too. Why is this the Best $800 Gaming PC? We regularly check competitor’s lists to make sure we’re ahead of the curve and choosing sensible parts. Some may make ridiculous sacrifices to things like CPU power and storage space just to stuff a high-end graphics card into their system even though its performance is going to be throttled; we do our best to avoid this on WePC. All of our builds are thoroughly researched to ensure that bottlenecks aren’t a concern and that you’re getting a balanced gaming PC with reliable hardware that will last you for years to come, even if you don’t upgrade anytime soon. With the i5 we’ve included in this build alongside the RX 580-- the best value GPU currently on the market-- we’re confident that you’ll have great gaming experiences at 1080p and 1440p well into the future. Fortnite - At 1080p, you should be able to easily max out this game at 60 FPS or higher. 1440p should still be playable at 60 FPS, but you may need to turn down a few settings. PlayerUnknown’s Battlegrounds - 1080p60 at high-to-max settings should be achievable, but 1440p may require some tuning down to medium or low settings. Monster Hunter: World - MHW is quite intensive, but 1080p60 shouldn’t be a problem for this build at high settings. 1440p60 will be much harder to achieve, though, and may require some settings turned down. League of Legends - League of Legends is a fairly lightweight eSports title, so 1440p60 and 1080p144 should both be achievable at high settings. Dota 2 - Same as above. Overwatch - At 1440p and Ultra settings, Overwatch should be playable at 60 FPS. This makes 1080p an easy sweep as well. Rainbow Six: Siege - At 1440p and high settings, Siege should be playable at 60-70 FPS. Warframe - Warframe should be playable at 1440p60 on high settings and 1080p144 on high settings- it’s quite well-optimized. Grand Theft Auto V - GTA V should be playable at 1440p60 with medium-high settings and high-max settings at 1080p. Team Fortress 2 - TF2 is primarily CPU-dependent, so you shouldn’t encounter any issues at 1440p here. If you want to push your frames higher, though, you’ll want to go down to 1080p and turn down some settings. We may have come up with the best $800 gaming PC, but not everyone has the time, luxury, or even the patience to build their own PC. Below we have included the 5 best prebuilt gaming PCs under $800. If you want to read more about them, then you can check out the product guide. While this machine is very solid for the price this is plenty that can be changed to make it better from the get-go or in the future. Note: Of course, these upgrades will increase the price. While the stock cooler is fairly fine, it’s better to get an aftermarket cooler to make sure you open up more opportunities and upgrades in the long run. 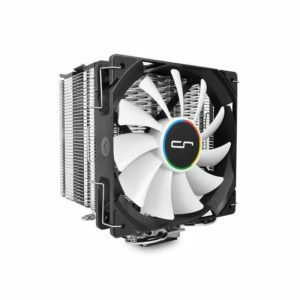 Cryorig H7 may not be the best of the best but should do fine to ensure that your locked CPU is provided with all the cooling it needs. Not to mention that this also works fine if you wish to upgrade your CPU to an unlocked CPU like the i5-8600k, which, will be covered next. This unlocked version of Intel’s i5 8th gen processor gives you not just plenty room of processing speeds at stock but it’s also overclockable. Essentially, it’s a much better CPU than the one we have in this build. If you wish to upgrade your gaming experience a tad more, go get this. If you’re going to spend the extra money on this, though, you’re also going to want to upgrade your motherboard in order to utilize the chip’s overclocking capabilities. We’re going to discuss that below. 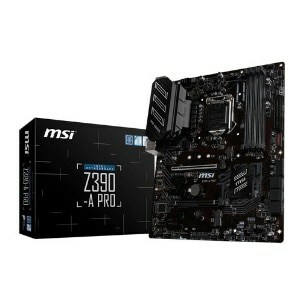 This is similar to the B360M motherboard we have in this list but has a $30 difference. 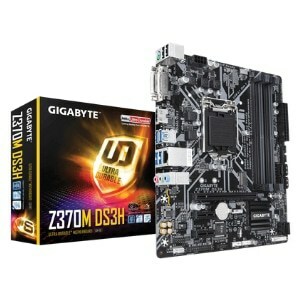 If you could spare $30 more on top of the build, then, by all means, do get this Z370 motherboard instead of the B360M. It offers better audio, extra features, higher build quality and most importantly, it gives you the ability to overclock your processor and make the most out of it. However, you can only do this with a K-series processor, like the 8600K mentioned above. Of the upgrades, this is probably the most important. 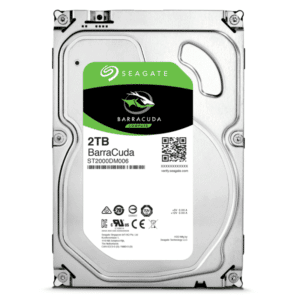 You’ll want a lot more room in your PC for the games you’ll be playing, and this 2TB HDD should offer all of the capacity for that that you’ll need. Most peripherals should be taken care of, especially if you’re dropping $800 on a PC. Still, we wanted to give a few recommendations to accompany this system. For a gaming PC, the only real option for an operating system is Windows. While there has been some significant strides in recent years for Linux and Mac support for games, the options are nowhere near what is offered on Windows. Previous licenses for Windows can be transferred to new machines, but you may need actually get ahold of Microsoft to complete the transfer process. 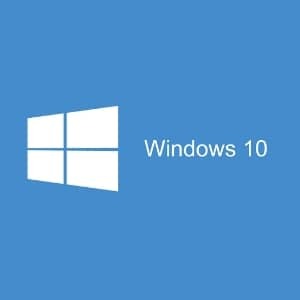 However, if you still need to obtain a copy of Windows 10, you can do so from places like Newegg or directly from Microsoft. Your mouse and keyboard are vital aspects of your gaming setup. These are the tools you will go into battle with, and you haven’t already got some, we have some suggestions for you. For the keyboard, we recommend the AUKEY KM-G3 RGB Mechanical Keyboard. 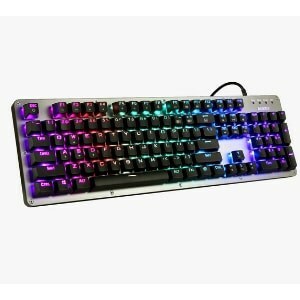 While it doesn’t offer fully-customizable RGB like higher-end keyboards, it does offer a stellar value and build quality for its price, in addition to being fully-mechanical. If you’d like some cheaper picks, you can also click here. 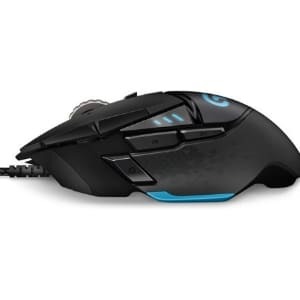 As far as mice go, we recommend the classic Logitech G502 Proteus Spectrum Gaming Mouse. Boasting RGB support and one of the best sensors on the market, it should provide all you need from your gaming mouse. We’re going to offer two monitors here: a 1440p monitor running at 60 Hz, and a 1080p monitor running at 144 Hz. The former will provide superior size and image quality, while the latter will provide a smoother, more responsive experience for supported multiplayer games, like Warframe or Overwatch. 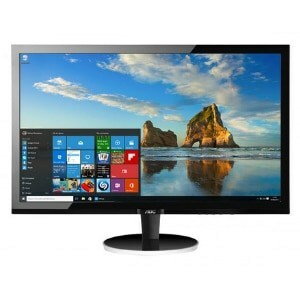 Our 1440p pick is the AOC Q2778VQQE monitor. It’s 27 inches and boasts a 1440p resolution to match it, allowing for a more immersive gaming experience. 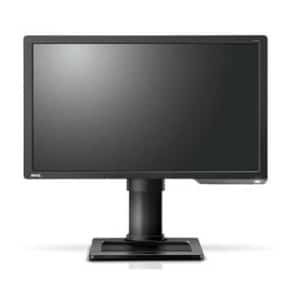 Our 1080p144 pick is the BenQ Zowie XL2411P monitor. Its 24 inch size is standard for its 1080p resolution, but with its 1ms response time and 144 Hz refresh rate, it’s particularly suited to gaming competitively. If neither of these suit your tastes, consider taking a peek at our massive 20 monitor roundup to find the best-suited display for you. Here are our picks for sound in this PC build. 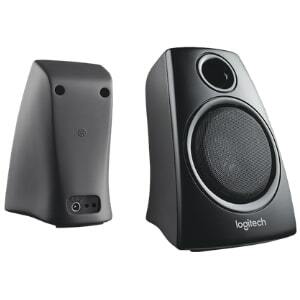 The Logitech Z130 Speakers are a strong pair of entry-level speakers that should provide all the auditory feedback you need. If you want something a little more…advanced, we recommend looking at the headset we’re recommended below. 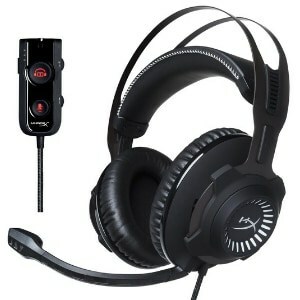 The HyperX Cloud Revolver S Gaming Headset. Boasts 7.1 surround sound and a noise-canceling microphone, which makes it perfect for heightened situational awareness and better communication with your teammates. Building a PC isn’t particularly mentally or physically-taxing, you just need to have the prior knowledge to pull it off. We have guides on common PC building questions and what NOT to do as a new builder, but if that isn’t enough for you, keep reading for more assistance. Buy an anti-static wristband and/or anti-static mat. This will protect your components from static discharge, which is an extraordinarily unfortunate and unlucky way to lose your brand-new hardware, albeit statistically unlikely. If you want to be sure, though, you should be using an anti-static wristband, and you can click here to read a guide. Building a PC might seem intimidating at first, but in truth, it’s not all that difficult. The embedded video above is one of our favorite build guides out there, presented by our friends at Tek Syndicate. We highly recommend that you install your OS via USB. To do this with Windows, download and run the Windows 10 Media Creation Tool. If you want to use Linux instead, try out UNetbootin or Rufus. In either of these cases, make sure you have at least a 4GB USB stick at your disposal for the creation of installation media. That is everything to build the best $800 gaming PC! This machine comes out to be a powerhouse, being able to handle the most demanding games with ease and push most games into 4K. Even upgraded consoles like the PS4 Pro and Xbox One X won’t be able to hold a candle to this build in terms of resolution, framerate, or graphical fidelity. The system is easily set up to allow for plenty of upgrade options as well. Whether you want to drop in a second stick of memory, or upgrade the card (which you won’t have to do for awhile), this build makes upgrades a breeze. How’d you find our build? Are you having troubles or thoughts of sacrificing some parts but don’t know which? Reach out to us! Comment below and let us help you out directly. It’s my first time building a computer… will I need to install a separate cooling fan? Should I get a SSD or a hard drive? Hi Jack D! This is a custom build $800 gaming PC. We also have prebuilt options in the $800 price range. 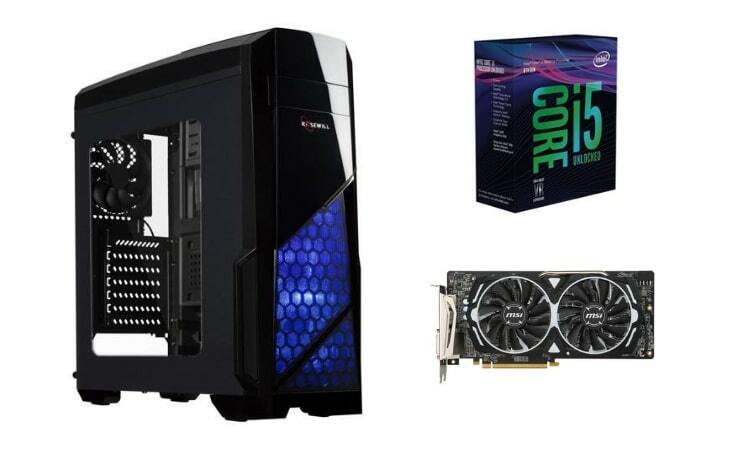 See our “Similar Prebuilt Gaming PC Under $800” section to see our picks. Are you planning to go with a prebuilt or do you wish to make it? Has anyone actually built this/ has benchmarks for this pc? could i build this inside a SHARKOON DG7000-G Red Steel /Tempered Glass ATX Mid Tower Gaming PC Case? Hi Anonymous! We don’t necessarily build on a monthly basis unless there’s a major hardware released (e.g, CPU, GPU, Motherboard). However, we do update all the builds on a monthly basis here. There aren’t any new hardware at the moment, but the GTX 11 series is just around the corner and will most certainly be out by Q4 of 2018. If you want the best, then I highly suggest you wait a little more until it’s out. We’ll build and update all our builds by then, too so expect to see the updates when the GTX 11 series comes out. Hey do I need thermal paste? What about the 8600k do I needn’t more thermal paste for that? If I wanted more memory in this computer what would be your suggestion for upgrading it. Hi there, Kevin! What kind of memory are you referring to? Is it the RAM or the Storage Memory? Given the scenario, you’re most likely talking about storage memory, if I’m not mistaken. If so, then get a 1TB HDD or a 2TB if you really need that much. If I would want more memory what would be your suggestion? I really want a nice looking white case. Do you have any recommendations? Hey Alex, How have you been? I would be happy to recommend you some nice looking white cases but I’m afraid it would take me long to compile all the possible lists of cases 😀 can you help me out? Like, what’s your budget? Is the specified mobo a micro-ATX or full size ATX? Does it matter what case you buy? I’m 16 and the build already is taking a pretty large chunk out of my moola from work, so I don’t want an extremely expensive case, but the one provided in the build list was priced fine and I could probably pay more anyways, I just don’t like red. Are there options for the same(+) pricing and size but just different color options? Colors in mind would be on the cooler color scale like light blues, light purples, or white. Tell me which one you decided to get! I’m excited to hear back from you! I Am looking to build a red and black pc. most f the parts the part are black or red but the GPU is really stuffing it up. do you have any red or black GPUs? also, the b360 is a micro motherboard is it worth upgrading to a full size? Is the ASUS ROG STRIX B250H Gaming LGA1151 ATX Motherboard compatible with this build? Hi, Anthony! How are you? Unfortunately, the ASUS ROG Strix B250H does not support the new Coffee Lake processors like the 8400 on this build. Are you planning on upgrading from your Kaby Lake processor to this? Hi there, just wondering because I’m a dufus, this rig would be fine to go into the hundreds for frame rate at 1440p. I know it says it’s entirely 4K capable but just bought I’d check because I’m only buying the pc for FPS games like R6 Siege and maybe battlefield at medium settings. Thanks ? Oh ok 🙂 I hope this build is going to help you with your first! does the MSI Z370-A PRO Motherboard support this build and if not do you have any suggestions for any motherboard? I have used your build as a base, is this pc compatible and if so do you have any suggestions to improve? Is a Ryzen 5 better than an i5 core? They’re both great CPUs and it depends on your needs, really. 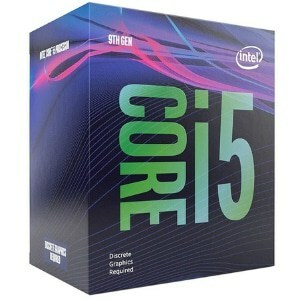 The R5 has more threads than the i5 but the i5 has higher clock speeds. I maybe could order it from amazon, but the problems are the shipping costs, not to mention that they probably wont even send some of the parts to here. What FPS on fortnite maxed out with a 144hz monitor? I dont know much about computers which is why I wanted to try and build one myself, but Ive read some things and dont you need a graphics card? Thanks for the info! could i use two 8gb ram stick for this build? That would be really nice for me since i’m a beginner. Hi. The case you provided is Amazon Prime only, so do you have any other cases that aren’t Prime only? Thanks! Would this run wireless WiFi or would it need anything extra? Would this run wireless WiFi or would it need anything extra ? built the august version and was kinda bummed about having on 250 gigs of memory the this one coming out and having the 512ssd and 2tb hard drive any suggestions on a good hard drive for around 50$? You would need to install the OS yourself. If you want to use windows, and already have a copy, you should be able to make a usb to do so from. Please suggest is this a good configuration for PC. Hey, at what point will I need to upgrade my GPU? Could this PC run slightly heavily modded GTA 5 smoothly? Also I’m attempting to upgrade the ram to 16gb and it is asking what type, any help you can offer? 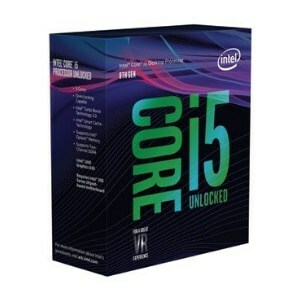 We are purchasing this kit for my son for xmas and upgraded to the Intel Core i5-8600K. Do you have another fan upgrade you would recommend besides the one on your list? I prefer something available through Amazon Prime and that one is only available from 3rd party sellers. Thank you! Can this build run on a 144 hz monitor, and if I get the upgrades how would I overclock it? Thanks! The case is specifically for amazon prime it says, any others that this build may fit in? Ram- Corsair vengeance lpx 16 gb of DDR4 (3000mhz) memory . I will be using premiere and stuff. Storage-500gb samsung 860 evo and 2tb seagate barracuda.Approximately how long will it last? Psu- could you find me some suggestions. I prefer modular or semi modular. Can the PC run slow games like ROBLOX? I’m just asking because it wasn’t listed on the “games it can run” list. My current PC is alright with vanilla but can’t load a large quantity of Modpacks. Maybe you’re running the wrong version of Java, you need to uninstall Java and install the 64 Bit version of Java. I was looking into this build and I saw that the gpu and motherboard have CD’s that come with it for the drivers and since this build doesn’t include an optical drive it seems is it necessary to still run the drivers on the CD’s somehow? Thanks! Hello! I have saved up all of my money from the past 5 years and am on the verge of purchasing this PC. I was wondering, Approximately how long will this PC last into the future, and how long I can go before upgrading. The case Is unavailable, so I was wondering if there are any others that have some ugradability but with good airflow and not to expensive! I would like to play rust quite alot so I am debating on whether the 580 4GB or the 580 8GB would be better for it frame rates wise. Last thing, for RUST would 16 gb of ram be better for memory leaks and overall performance, and SLIGHT multitasking. THANK you so much!!! It should last a while if the build is neat and their are no hanging wires, and I use a nautilis case from rosewill it will work great, and the 580 8gb i think would be better but i dont really know and in any build you make more ram is better if you have the extra cash. 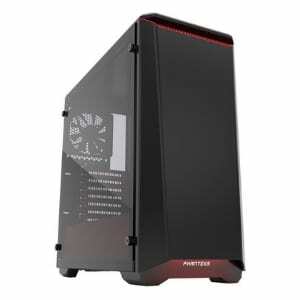 So, Currently the case is out of stock and I was wondering if there where any other slightly less expensive cases but without compromising cooling efficiency and space for upgrade ability (I am planning of doing slight GPU/CPU/RAM Upgrades). But not so much space inside to where it will just go unused and will be wasted money. I do not care for aesthetics TOO much. Just nice cooling and maby some fans to compliment it to keep everything nice and cool and such. just wondering if this build can stream on twitch or if i should shoot for the $1000 or higher? also would this run good witha 144hz 1ms refresh rate and 1080p monitor? I have a lot of suggestions. 1: At 800dollars, it would be a better choice to get ryzen instead of Intel cuz ryzen is cheaper. 2: Dont spend such a big chunk of money on storage. 1TB plus a 250GB or 500GB SSD is enough. You can get better parts. 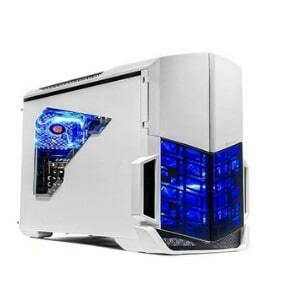 3: Why get a micro ATX Motherboard with a mid tower case? If you get micro ATX, get a smaller form factor case to save money. I’m about to order this but I am just checking is this still up to date with the best parts possible? What would be the logical next step after the cpu upgrade possibly to the gpu? 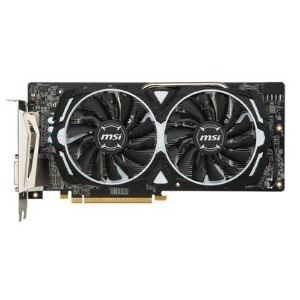 Which gpu would be a good upgrade from this one? Why wasn’t Ryzen 5 2600 recommended when it’s cheaper than Core i5-8400 and perform similarly? Why does this build have a Core i5-8400 instead of a Ryzen 5 2600? Ryzen 5 2600 offers similar performance at a cheaper price. Are all the wires needed included with what you buy or will I need to buy any thing else? Are they’re any other products (other than software and accessories) that would need to be purchased to build this beautiful beast? Such as connectors, cords etc.? Would this build work well for running an Oculus Rift S? Would something cheaper suffice? Or do I need something even more high end?